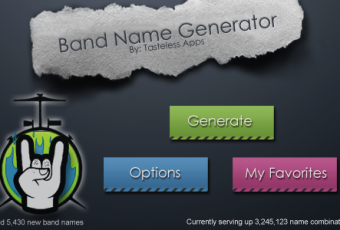 The Band Name Game is an easy and addicting mobile game on Android. Users can play the Band Name Game with their Android and Facebook Friends to see who knows the most band names. The gameÂ can be played in one’s spare time like Words With Friends.